The Bettie M. Luke Muenster Public Library is located north of Fort Worth, Texas at 418 North Elm Street in Muenster, Texas. The library provides free services to all residents living within the city of Muenster and surrounding communities. The library holds over 20,000 items for adults and children including books, audio-books on compact discs, movies on video and DVD, music compact discs, magazines and local newspapers. 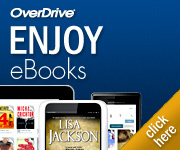 In 2015, library joined Northeast Texas Digital Consortium, which offers over 16,000 e-books to members. We offer 7 computers for public access, each with Internet access. Thousands of people entered our library each year to check-out materials, use our print and reference resources, access the Internet through the Library's fiber-optic connection, attend our year-round story and craft time for preschool and homeschool children, or to attend one of the Library's many events. Our friendly and professional staff is eager to serve you. Welcome to Muenster Public Library! The purpose of Muenster Public Library is to provide free access to information, educational, and recreational library services to everyone in the Muenster community.